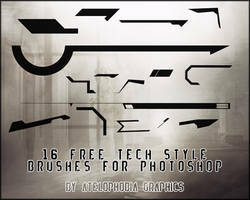 All of these custom made brushes are just mainly logos themed form the halo universe. All fairly large in scale although not all the same exact size for all. 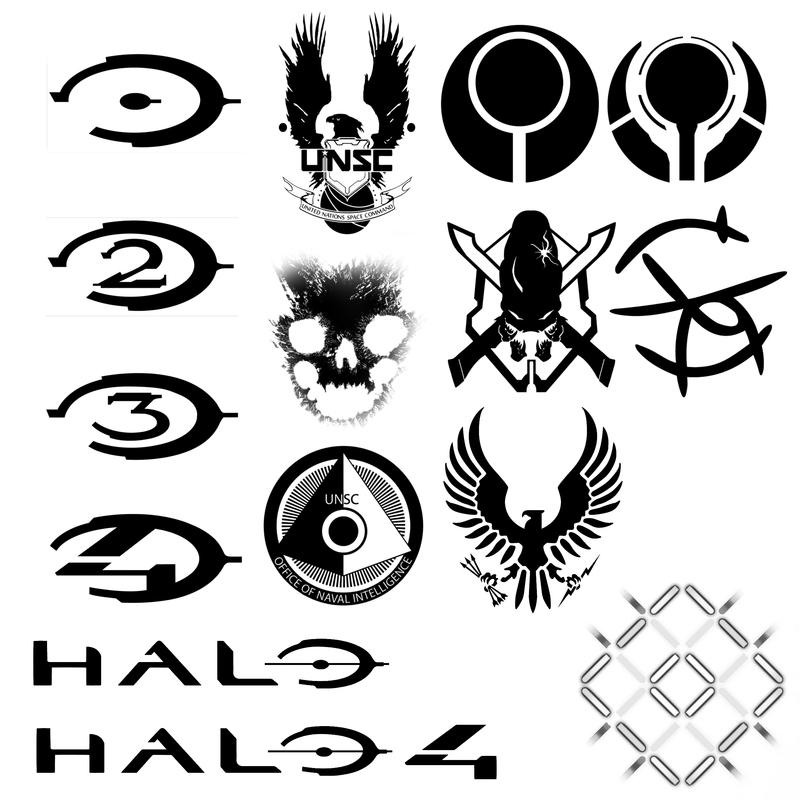 Most of these were made by me, but a few were from either the bungie or 343i websites. Just out of curiosity, which brush(es) grabbed your attention? Glad you like them! it look awesome btw! 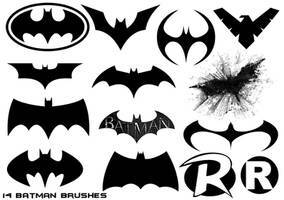 Now which one shall I tattoo on my arm? I as thinking about that at one time for myself! lol! I will definitely use this! Super glad you like them! HAHAHAHAHAHAH! glad you love it so much! Sweet! i love it man! 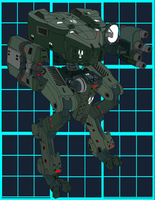 Halo CE, Halo 2, Halo 3, Halo 4, UNSC (circa Halo 4), Marathon, Reclaimer (circa Halo 4), *skipped*, Legendary setting Icon, Mark of Shame, Office of Naval Intelligence, UNSC (Pre-Infinity), Auntie Dot. Lol, the skull is the legendary setting logo. 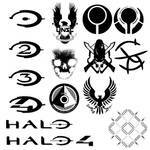 ecvepr they changed it in halo 4 to some other type of skull. Really? The one closest to the Halo 2? No, but I finally figured it out. It's the EVA [c] variation, better known as Emile's helmet. Yeah sorry, idk if you saw my second comment just a second ago but yeah. lol, emile's helmet. whatta boss. wait my bad, i know what skull you mean now, sorry forgot about that one. no thats a carving/scratching in one of the spartans helmets in the halo:reach campaign. the rampancy is strong with this one. OMG Halo. U did it super awesome. LOl! Thank you! I'm glad you like them! And I know the feeling! I can never get enough, They're the one video games I'm almost always playing. Played Halo 4 so much i already hit the max rank. lol! kind of a fanatic myself. Yay me and my two are Halo fan's. We love Halo. Lol! Thats an awesome drawing man! I'd say my favorite is between 2 and 3. Lol! Well im glad you love them! Thanks! I hope you enjoy using them as much as I did making them! Well that works too! lol, thank you! Well I hope you enjoy using them as much as I did making them!